Appraisal fee: Your mortgage lender will most likely require a home appraisal in order to ensure that you aren’t drastically overpaying for your home. The costs here typically depend on the size of the property and how complex the appraisal will be, but a general ballpark figure would be around $150 to $250. Some lenders may waive this fee, so when negotiating with your lender it can’t hurt to ask! Property survey: A survey may be another requirement of some lenders in order for them to identify boundaries, lot measurements and easements. In most home resale cases, a survey will already be available. However, if the seller does not have one (or it is not accurate) and you need to get one, it can cost up to $2,000. Lender application fee: Again, your lender may require a fee just to process your application. Ask your lender about this one too, as the fees can vary and certain lenders might even waive this fee for you. Mortgage Broker fee: If you’re using a mortgage broker, they may require an upfront fee. This is not very common, but be sure to ask your broker so you aren’t hit with another unexpected cost. Mortgage loan insurance: Typically if your down payment on your home is less than 20%, your lender will require mortgage loan insurance. This could possibly be added to your mortgage payments, so ask your lender. Home insurance: Your lender will require you to have enough home insurance to cover the total value of your mortgage and your lawyer will need proof of this insurance in order to proceed with the transaction. Title insurance: While optional, it is recommended that you get title insurance as it’s typically not very expensive. For $150 to $300 title insurance will give you coverage in case there are issues down the road with your property title. If there are issues and you do not have this insurance, the costs could be very large. Deposit: Upon making your offer to purchase a home, you are typically required to give a deposit. While this deposit will go towards the overall cost of the home, it will be an out of pocket expense at the beginning of the real estate transaction, so be prepared. Legal fees: Your lawyer will be reviewing the terms of your offer as well as taking care of the mortgage, title searches, title registration and adjustment costs. Legal fees can range anywhere from $1,200 all the way to $2,500. Land transfer tax: Land transfer tax in Ontario works on a tiered structure. The first $55,000 is taxed at 0.5%, $55,000 to $250,000 at 1%, $250,000 to $400,000 at 1.5% and over $400,000 is taxed at 2%. Click here for more information on Land Transfer Tax in Ontario. GST: Typically you will not have to worry about GST when purchasing a resale home, however new construction homes will be charged GST. You may be able to qualify for a rebate. Home inspection: It is highly recommended that you get a home inspection when buying your next Ottawa home. Your inspector will look at everything from the foundation all the way to the roof and everything in between. Their report should go over any issues along with estimates on the costs to fix said issues. A typical home inspection can cost up to $600. Additional costs and expenses: We covered most of the big ones, but it doesn’t end there! You may also need to plan for adjustment costs, property taxes, utility bills, hook up fees and of course your moving costs. And that’s all before you even move into your new house! Once you get in you’ll likely need to spend even more money on furniture, window coverings and appliances. Buying a home in Ottawa, or anywhere for that matter can definitely be an expensive endeavour, so you will want to make sure you are financially prepared for what you are getting yourself into. In our first article on preparing your home for showing, we talked about curb appeal and some tips on how to make the exterior of your house look good for showings. We mentioned that a high percentage of homes are actually sold within minutes of a potential buyer pulling into the driveway, which is true. However, you could have the nicest looking exterior in the world, but if a buyer enters your home and see messy, cluttered living spaces you’re going to find that your home is on the market for a long time. Sell: If you have items that are somewhat valuable but that you don’t necessarily use, put them for sale on Kijiji or eBay. If you have a ton of little items, maybe a yard sale is in order. Store: Family heirlooms, mementos, seasonal clothing or furniture that you don’t have room for (but that you might want to keep for your new home) should be stored away. If needed, renting a storage unit for a few months while you home is being showed could make a huge difference in the decluttering process. Donate: If you have older furniture, electronics or clothing that you don’t use or need anymore, consider donating it to the salvation army. Clothing can also be picked up by organizations such as the diabetes association. Throw Away: When going through our homes, it’s amazing the amount of stuff we pile up over the years that we simply do not need and that really would be of no use to anyone else. Consider renting a dumpster if you have many larger items. Cleaning: This is of the utmost importance. Clean the interior of your windows, dust everything and clean all floors and surfaces. If you have stains on carpets, consider renting a carpet cleaning machine. You may also want to consider hiring a professional cleaning service to give your entire home a thorough cleaning before you put it on the market. Painting: If you have walls in your home that look old, dingy or soiled, you should consider applying a fresh coat of paint. Stick with something neutral such as an off-white color. Repairing: Repair any damage to drywall, plaster, walls, trim or any woodwork throughout the home. Repair any leaky faucets and shower heads as well. Bathrooms: Cleanliness is key here. Make everything clean to a shine and hide away any toiletries that are not purely for decorations. Before someone comes through your house make sure your toilet seats and lids are all closed! Kitchen: Again, much like your bathrooms having a spotless kitchen is key. Keep all surfaces clean and remove any non-decorative items from counter tops. Empty your trash bags and make sure your trash cans are kept hidden. If you have children you should also consider removing pictures, magnets and everything from your fridge. Bedrooms: Put away any personal effects and photos. Make sure beds are made and that no laundry can be seen. Living Rooms: Try to remove any photos or personal effects from living areas. Remove any dead looking plants or better yet, replace them with new plants. Get rid of magazines, newspapers, mail, etc. Basement: Whether you have a finished basement or not, make sure there are no signs of water damage or any mouse/rodent traps laying around. If you use your unfinished basement primarily for storage, make sure it at least looks somewhat organized. The goal with all of this really is to be able to give a potential buyer an idea of what your home will look like if their furniture and possessions were in place of yours. We think by following this advice you should have a fairly clean and decluttered home and be in a great position when it comes time to have people through your home for showings. The old adage of “the first impression is the last impression” is very true when it comes to buying a new home. When you go to prepare your home for that very first showing, always be sure to keep this in the back of your head and start from the outside of your home to the inside. This might sound crazy to some, but most times a home is actually sold within minutes of a potential buyer pulling into the driveway. That first impression is a big one and is going to last to a buyer throughout the entire showing of your home. If a buyer is interested, that first impression will also last up until they make an offer and can have a great effect on what they perceive to be the value of your home. So step into the buyers' shoes and see it from their perspective. Mow your lawn, trim hedges, pull weeds and water that lawn. Pick up and declutter all areas of your hard. Add sod to any grassy areas that may not be so grassy any more! Remove any tacky or distracting decorations. Paint or touch up any siding that may need it. Stain or repair any outstanding issues to fences or decks. Wash those windows, both inside and outside! Clean your driveway of any stains or marks. Add a nice doormat, wreath or sign to your front door/entrance. One of the most important and difficult decisions when it comes to selling one’s home is figuring out the current value of your home and what list price you should set. There are so many different variables in play, but we will do our best in this blog post to try and answer your question of how much should I list my house for? What price can I list my home for in order to bring in offers at or above my asking price? When it comes to getting the maximum value out of your home and figuring out the best initial selling price, one of the most important factors is knowing your housing market. You have to realize that housing markets differ from province to province and city to city. Your Ottawa home could have a much different value than the same exact home in another city. Even the same home in different Ottawa neighbourhoods could have a substantial difference in value. 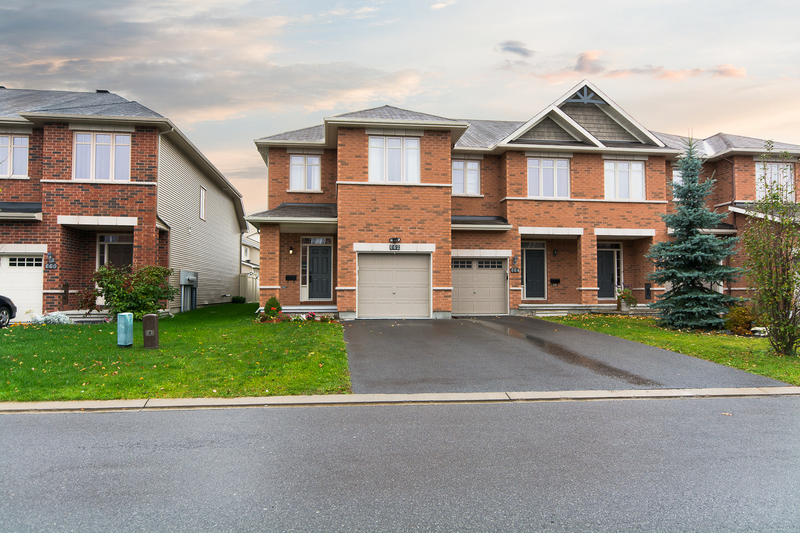 It’s highly likely that an agent would list the exact same home for sale in Kanata at a different price than we would list it for in Manotick. So one of the first things a good agent will look at when valuing a home is what the demand for houses is in your specific neighbourhood and area. If you request a home valuation on our site, the agent doing the valuation will take a very close look at what houses are being sold in your area and for what prices they are selling for. They’ll break down the numbers for comparable houses to yours to see what listing prices homes had and what homes were actually selling for in the last month, last 3 months, last six months and last year. This will give them a better indication of what the housing trends are in your area. They'll see if prices are going up, down and by how much. It’s also important to note (especially in a cold-weather city like Ottawa) that seasonality can also play a major role in pricing trends. We’ll take a closer look at seasonal trends in an upcoming blog post. Even homes within the same neighbourhoods can have different values depending on the time period they were built. A similar sized home in the same neighbourhood that was built in the 1950s will likely have a different value than if it was built in the 1990s. After taking all of this (and more!) into consideration, your agent should have an estimated range in their head on what the value is in your home. The next step is going to be to figure out what price you should actually list your house for. Now that we have a good idea of what your home should be worth, you still need to figure out what price you’re going to list it for. Oftentimes you'll want to put yourself in the shoes of someone looking to buy a home in your neighbourhood. They’ll be scanning Ottawa real estate MLS listings when trying to figure out which homes they are interested in and want to visit in person. In addition to this, another issue you face when overpricing your home is that it may take longer to sell and eventually it will go stale on the market. Buyers are usually very suspicious when it comes to homes that have been on the market for an extended period of time and will be asking themselves questions as to why no one is making offers on your home. So you will want to make sure that when figuring out what price to list your house for, that your initial price is realistic compared to your local market. Small pricing fluctuations can also make a big difference. When a buyer is searching for a home, they usually have ranges that are within increments of $25,000. Our search also allows people to search within price range cutoffs. So pricing a home at $455,000 might not make the most sense. A price of $449,900 would most likely introduce a substantial amount of additional buyer interest. We realize this all may seem quite overwhelming, but that’s what we’re here for. Our preferred agents know the Ottawa Real Estate market and can help you figure out the best price to list your home for. If you want a professional to give you a free home value estimate on your house, then click here to fill out a free home value estimate request and one of our preferred agents will be in touch with you right away.